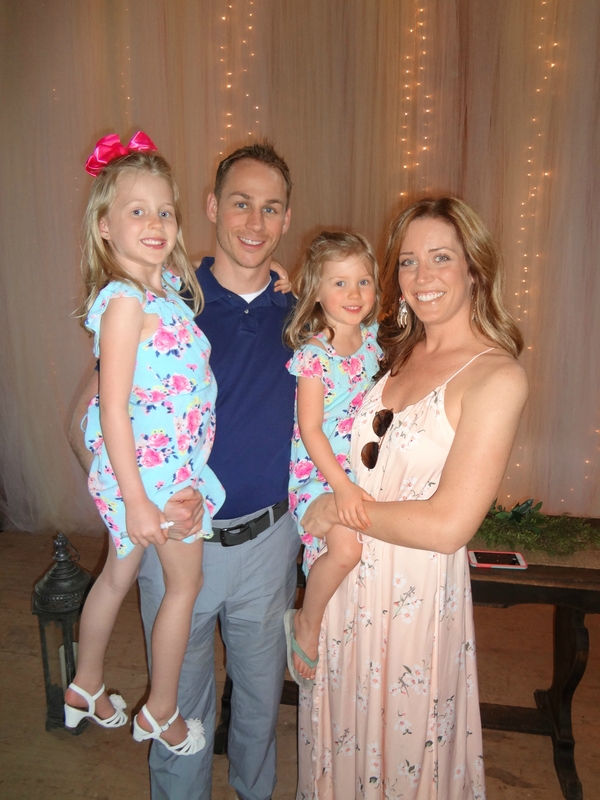 From growing up on a farm, competing and coaching sports, to meeting his wife, and having two girls, Dr. Travis Baker has given his all in everything he set it out to do. A small town in western Kansas called Hoxie, is where Travis grew up. 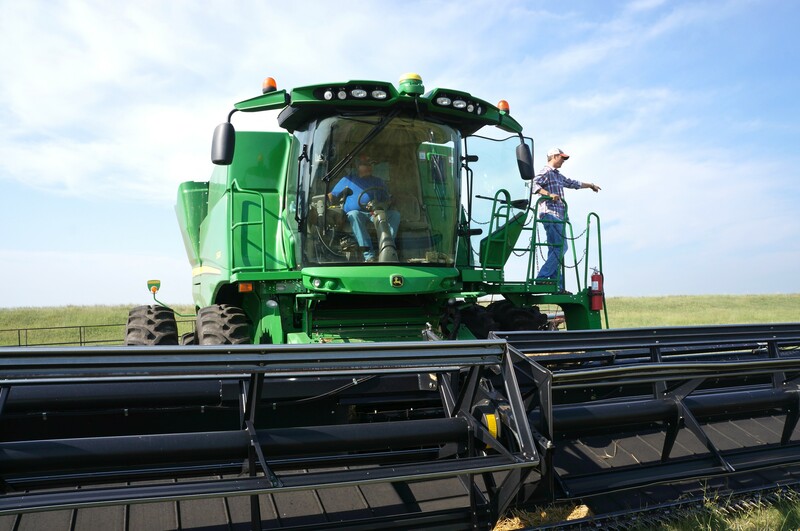 Born and raised on farmland with his 3 younger brothers. After his grandfather served in the Korean War he settled down with his wife of 60 years. They had four daughters, one of which was his mother. Surrounded by family he grew up working on his family’s farm. Thus, developing a work ethic that he has applied to everything he has pursued. His father was a high school wrestling coach and upon retiring in 2007 was voted into the Kansas Coaching Hall of Fame. 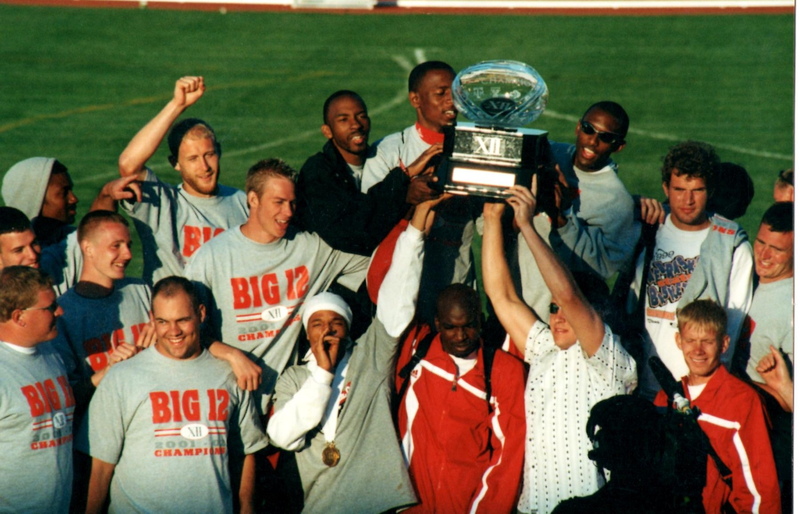 From a young age he was very interested in sports, which would eventually lead him to the University of Nebraska. 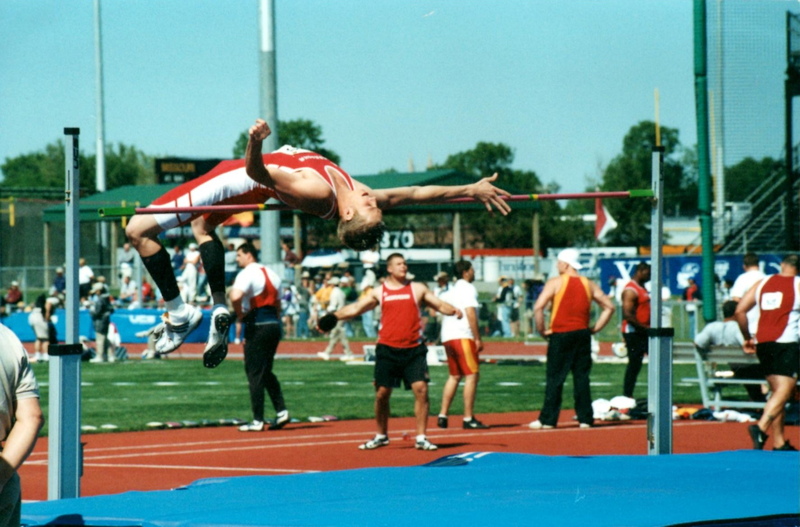 As a Husker, he competed for 2 years on the Wrestling team and 4 years on the Track and Field team as a High Jumper. As a high jumper he was an NCAA National Qualifier, and earned Big 12 Honors, medaling 4 times and was a member of 4 Big 12 Championship teams. His time spent at UNL was also studying for his major of Community Health. He graduated in 2004 with his Bachelor’s and went on to coach wrestling at Manhattan High School in Kansas. During his two years there he helped lead Manhattan High to a Class 6A State Championship for which he was voted Kansas 6A Assistant Coach of the Year. In 2007 he began his doctorate degree from Cleveland Chiropractic College in Kansas City. In Manhattan, Kansas Travis met his future wife, Julie. 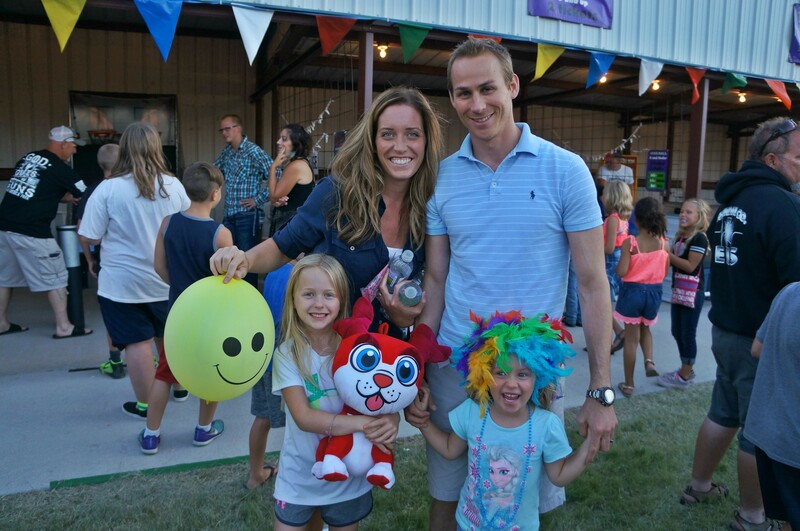 She attended Kansas State University and was completing her education degree while student teaching at Manhattan High School. Their students set them up to officially meet each other towards the end of the year. Well, the rest was history and they were married. They headed to Kansas City for him to pursue his calling and complete his Doctorate in Chiropractic and for Julie to start teaching. They just celebrated their 10 year anniversary and have two daughters, Allison and Caroline along with a golden retriever. One of Travis’s favorite ways to relax and unwind is fly fishing trout with his dad and brothers in Colorado. Another family favorite are Husker football games in the fall. 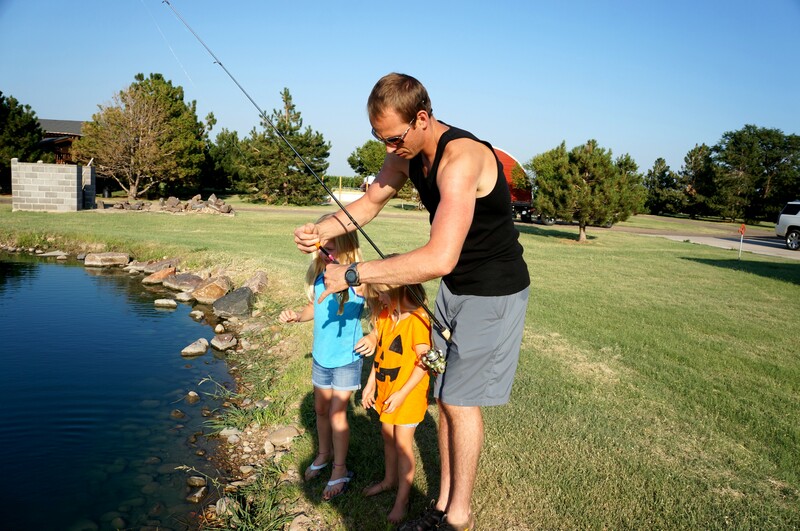 The children also enjoy heading to Mahoney State Park for fishing and family time together. Making memories is what life is about.